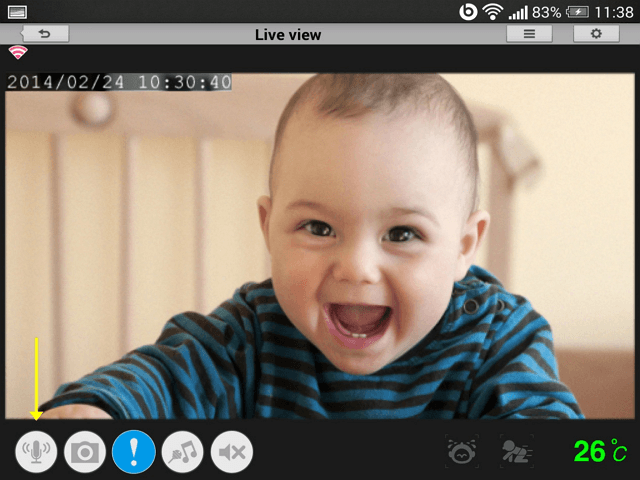 How can I communicate through the Baby camera using two-way audio? How can I communicate through the Baby camera using two‑way audio? Step 1: Launch the mydlink Baby Camera app. Step 2: Select the camera which you want to use to communicate. 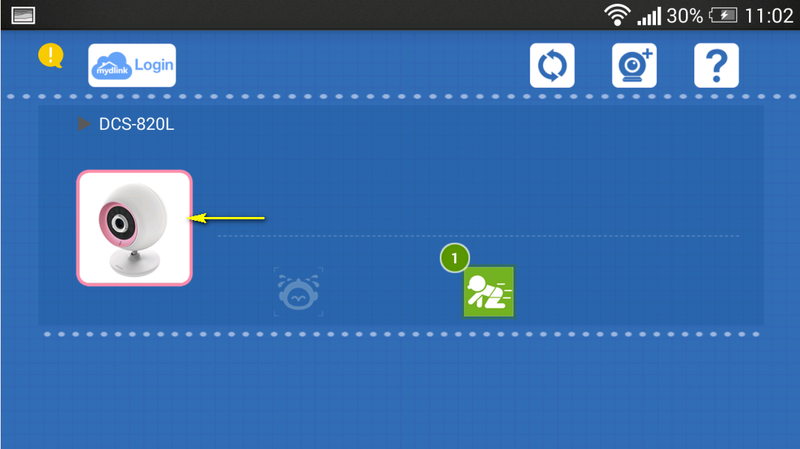 Step 3: Press the microphone button on the bottom-left of the Live View screen. This will allow you to speak into the microphone of your smartphone or tablet, and the audio will be played out of the camera’s speaker. 2 lidem se to zdá být užitečné.